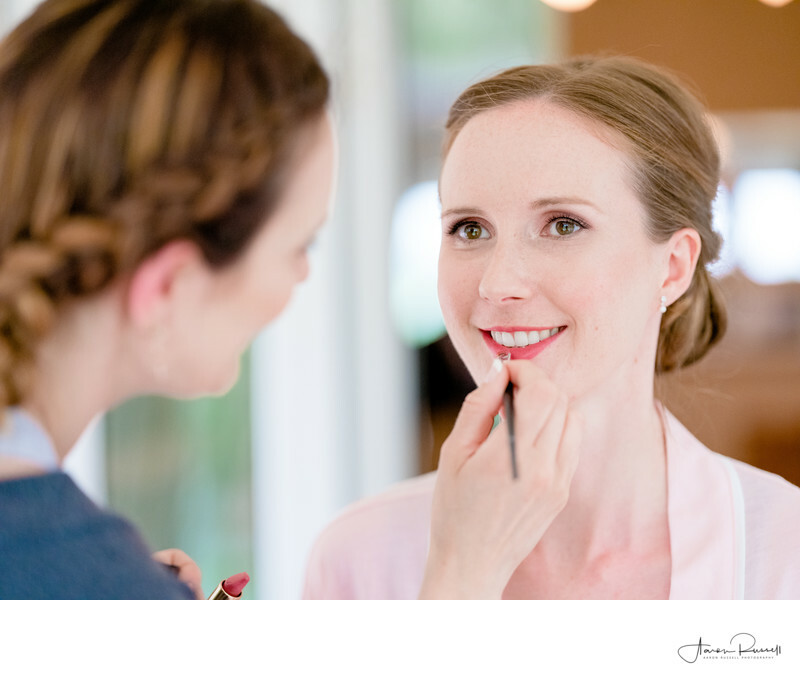 'I don't think I want someone taking photos of me having my makeup done' - Something I hear very often, but the 3, 4 or 5 hours that I'm with a bride and her bridal party on the morning of her wedding isn't all about taking endless photos of people having their makeup applied. Of course, some of the photos are of that very thing, like in the example above, but there's so much more to this time period than just that. For a start, it's a great time to get to know your photographer a little better. A lot of people are anxious about having a photographer at their wedding, and what it'll be like having your photo taken all day. The time that you spend with your photographer in the morning is a time to get used to the clicking so that when it comes to the wedding itself, you literally don't hear the noise from the camera as it's gradually become background noise. This by the way, isn't a luxury the groom gets to experience! The time before a wedding is also the only time the photographer can photograph all of the details of the day. The dress, shoes, wedding rings and all those accessories that make you, uniquely you.